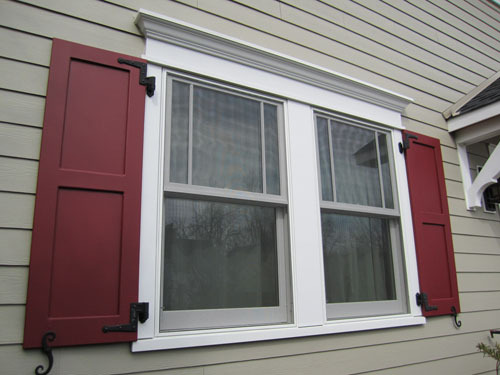 Working with Lake Bluff window contractor Siding & Windows Group is the right choice, and will give you excellent service and a very high level of craftsmanship that you can appreciate every time you look out your new replacement windows. Give us a call to get started today. Fiberglass Windows – these types of windows offer many advantages, and are extremely durable. They are very strong and insulate well, along with resisting any type of condensation. Vinyl Windows – If you want windows that will match the aesthetics of your home, you can get vinyl windows in different colors and textures. These kinds of windows can also be custom built, so you can get windows in Lake Bluff that fit right, look great, and give you the quality you’re expecting. Low maintenance costs and a high degree of energy efficiency are two great reasons to choose vinyl replacement windows. Wood Windows – If you prefer wood for your window installation we can also help with that choice. These types of windows are classically beautiful, and offer low maintenance. They are also easy to repair and very durable, along with providing good thermal insulation properties to help keep your home comfortable all year round. Why Choose the Siding & Windows Group? A company with awards and recognition including the GuildMaster Award, the Angie’s List Super Service Award, and an A+ BBB rating. Ready to upgrade to new replacement windows? Contact the Siding & Window Group today and get the assistance you need from professional installers who are happy to help you choose what you need to make your home look great and feel comfortable again. Your free in-home estimate is waiting.